Sea-Clens improves and speeds up the healing process for wounds. 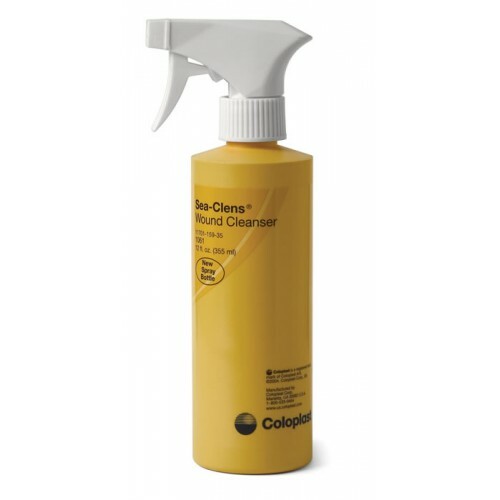 It gently cleans and irrigates the wound site, removing slough, debris and infected tissue from the wound bed. This Wound Cleanser uses a saline based solution with the addition of body-friendly detergents derived from natural sources. Its formula is pH-balanced, so it won't irritate the wound area or disrupt the healing process in any way. 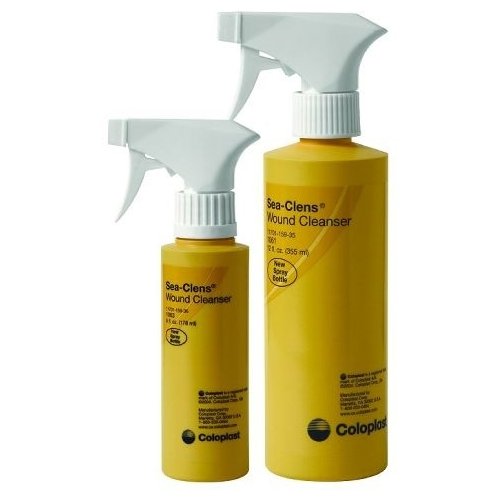 Coloplast makes Sea-Clens Cleanser with a rinse-free formula that can be sprayed directly on shallow to deep wounds. Because of its affordable price, it is a great upgrade from normal saline washes that lack additional cleaning detergents. What is the shelf life for this product? This product has a shelf life of up to 2 years, according to the manufacturer. My podiatrist gave us a sample bottle 3 years ago. It is good to clean any wound and I believe it really promotes healing. I am surprised it is not sold in Pharmacies. Of all the wound cleanser products I tried only Coloplast gives you a choice of either stream or spay. Every other product was stream only which means you use far too much product per cleaning. The cost of the waste adds up to making the others far too expensive! Having three kids under ten means that you have to learn how to treat wounds. I used to be really clumsy mom but with help from several medication I got better. Among those medication, this would cleanser is one of my favorites. It gives you less pain while cleaning and makes your wound get cured sooner.